The very words ‘Golden Sahara’ conjure up images of an exotic desert landscape, far beyond what most of us take as our day-to-day normal. The Sahara’s topography excites the senses with an allure of mysterious nature. Known personally only by a few, misunderstood by many. 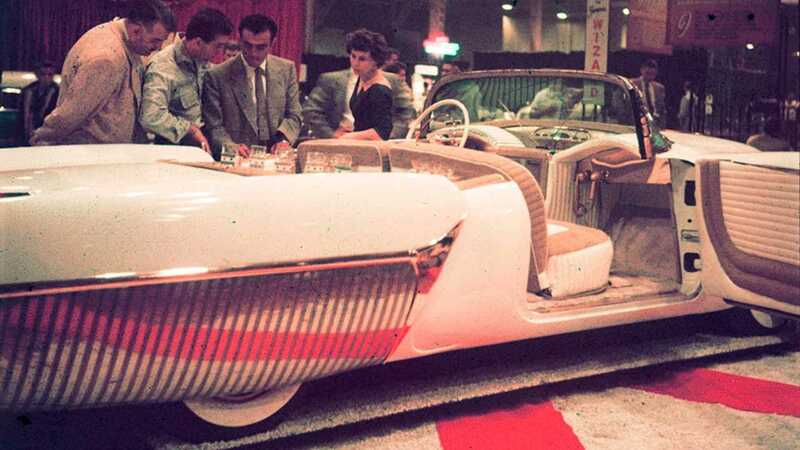 The same could be said of a concept custom car from the 1950s that also bore the name of ‘Golden Sahara’. Like its namesake, the automotive ‘Golden Sahara’ enthralled wherever it went, and for good reason – for that was its very purpose. With an eye-catching finish in pearlescent white paint combined with several dazzling gold embellishments, the Golden Sahara was the definition of sheer decadence on wheels, and the result of one man’s perseverance to create his dream car. Most of those who were drawn over to take a better look at the Golden Sahara would’ve struggled to believe that this stunner started out as a somewhat mangled Lincoln Capri from 1953. 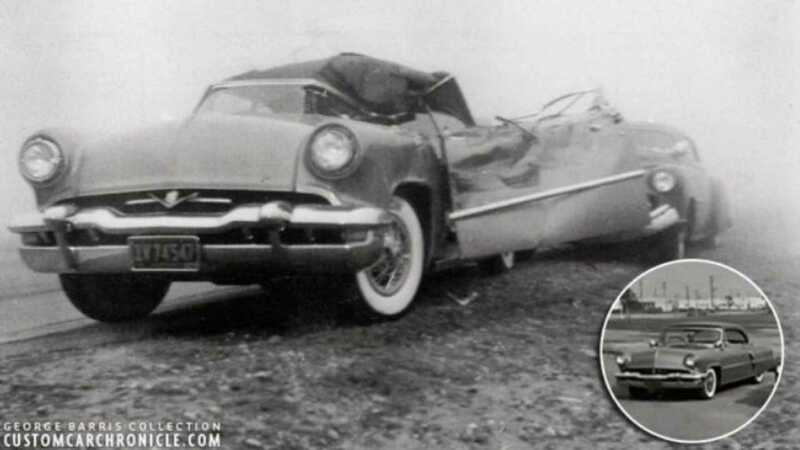 The Lincoln had belonged to car customizer George Barris, when it suffered an accident that literally peeled the top off, as well as significantly damaging most of the body. For most cars, this would very much have been the end of the road. However, two creative minds - that of Jim Skonzakes (better known as Jim Street) and that of George Barris - both thought otherwise. The Capri hadn’t accumulated much mileage before it had run into a truck bed while towing another car and, despite the obvious surface damage, the engine and drivetrain had somehow survived intact. Between the two good friends, the idea to transform the wreck into an ambitious custom car blossomed. Barris had the necessary skills while Street was able to inject an abundance of avid ideas and funds into the project. The front-end of the Lincoln was cut-off completely and an alternative face with an oval-shaped grille was constructed. A handmade wireframe provided the foundation for most of the bodywork behind, with sheet metal being shaped and welded to create an entirely unique profile. One of the most dramatic features were the rear fenders, each with twin tail fins that fitted around taillights taken from a 1954 Kaiser Manhattan. Between the tail fins was a trunk lid that incorporated a steel spare tire cover from a 1930s car. 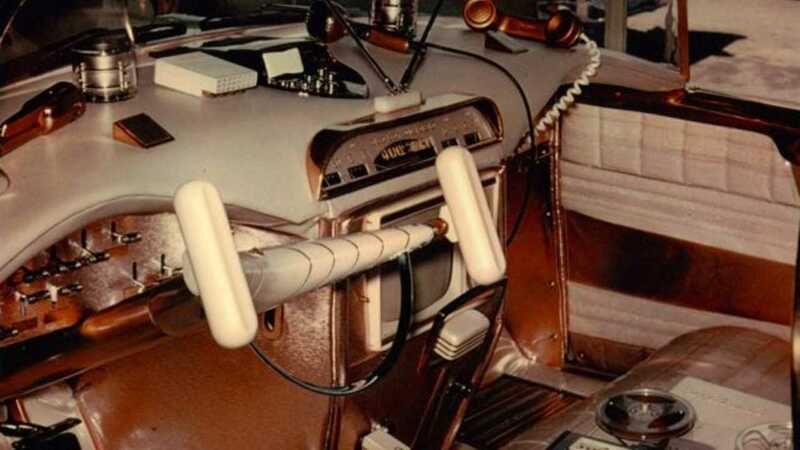 Up front, a futuristic pre-production wraparound windscreen was sourced from the Lincoln Mercury dealer parts department and was completed with a glistening gold surround. Perhaps the idea for the Golden Sahara to be a convertible came from the Lincoln’s sudden loss of its roof, but more likely it was to ensure the entirety of their creation could be seen when completed. Barris and Street wanted the Golden Sahara to look as futuristic as possible so the obvious choice would be to take inspiration from the space race and go with a bubble-top roof. A thin T-top canopy, complete with lift-up Plexiglas panels, was constructed in the workshop, while the manufacture of an enormous and curved rear window also made of Plexiglas was commissioned out to a local company in Los Angeles. All components could be fixed in place or removed entirely to make the Golden Sahara a full convertible. To keep attention focussed on the bold lines that had been so painstakingly crafted by hand, Street opted for a white car. Street may have chosen a modest colour but this most certainly did not apply to the gold-plated ornamental trim lavishly applied onto the front grille, on a stripe that ran down the middle of the bonnet, wheels, rear bumperettes and, most noticeably, along the bottom half of the rear fenders. The gold contrasted well against the white, delivering a bold look. When it came to the Golden Sahara’s interior, no expense was spared. White leatherette sections combined with gold brocade cloth upon the upholstery thanks to Glen Hauser of the Carson Top Shop, while white and beige mink carpeting completed the exuberant feel inside the car. 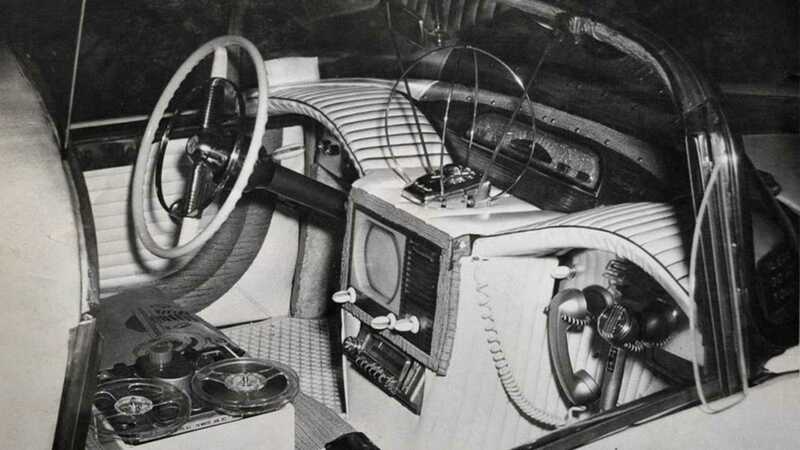 The hand-built ‘double dip’ dashboard was also upholstered for an exclusive up-market feel and contained numerous gadgets including a television in the central console and a golden telephone located ahead of the passenger seat. A two-way stereophonic radio was fitted, the large antennae of which were easily spotted atop the dash. A reel-to-reel tape recorder resided within a cubby box between the front seats, while the rear compartment boasted of refrigerated storage, drinks glasses and cocktail ingredients. The Golden Sahara was truly unique thanks to daring ideas and a generous budget of $75,000 (the equivalent of $700,000 today). From nose to tail, the Golden Sahara’s striking profile perfectly epitomized the rise in post-war affluence as well as the fashion, glamour and ambitions of the all-new jet age. 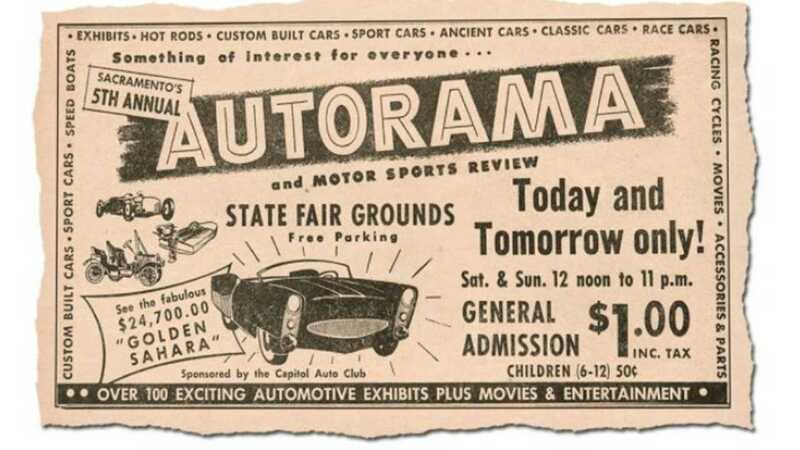 It was therefore no surprise that as soon as the Golden Sahara made its debut at the 1954 Petersen Motorama/Motor Revue, it could amass huge crowds wherever it happened to go. Consequently, the Golden Sahara quickly became one of the most notable custom cars of the 1950s as it toured America. Showcased as both a concept car and new technology demonstrator, the Golden Sahara was a remarkable feat for Barris & Street who had assembled the vehicle without help from any of the leading automotive marques. 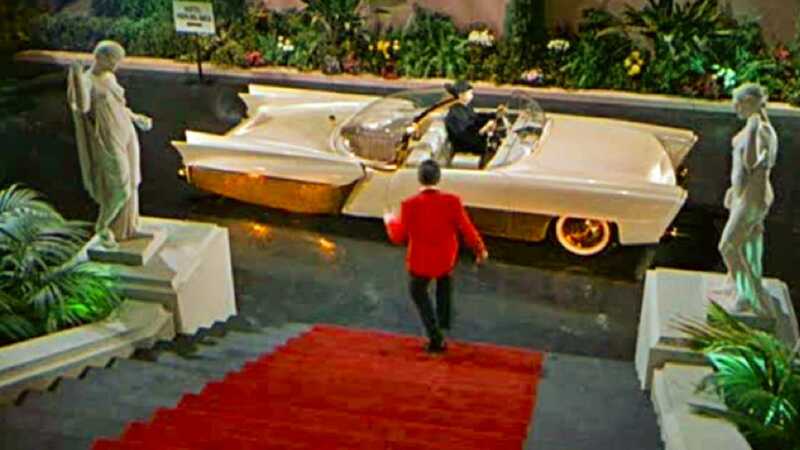 Despite how popular the Golden Sahara was as it toured the show-circuit, which was already beyond what Barris and Street had envisaged, Street felt there was room for improvement yet. Seeing the potential, Street invested a further $75,000 to fully make the Golden Sahara a car with celebrity pulling power. 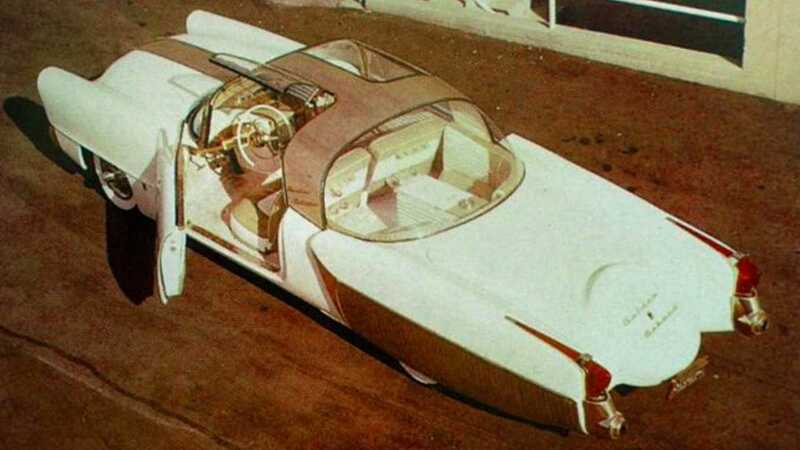 In 1956, the car became a technological marvel courtesy of several new additions and was renamed the Golden Sahara II. Never one for playing by the rules, Barris and his team pulverised fish scales and mixed them into the paint to give the Golden Sahara a ‘true pearlesence’, adding yet another level of luxury to an already staggering vehicle. Inside, the front seats could reduce driver fatigue with a massage function while the conventional steering wheel was ditched in favour of an angular aircraft-themed control wheel with two separate handles. An unusual lever was added in the centre – this was said to control the steering by moving side-to-side, as well as acceleration and braking by being pulled forwards or backwards respectively. Silver push button controls on top of the dash could also be used to control the steering, even from the passenger side. With so many options for steering, you could literally take the most conventional option of the wheel and, as Street was soon to say on TV “put it in the trunk and forget it”. If not needing a steering wheel to control direction was a surprise, not needing to be inside the car to start and drive the car would astonish even more! Street had devised remote functionality, which could open the doors, start the engine and move the Golden Sahara II forwards. This was most notably demonstrated in 1962 on the game show I’ve Got a Secret when Street walks alongside the car, controlling it in front of the live cameras, courtesy of the remote control in his hands. On the same show, Street states that the Golden Sahara II can respond to voice commands as well as pointing to short antennas located within the front bumper. The antennas gave out a radar signal, and if the signal detected an obstacle in the car’s path, the brakes could apply automatically. These features were also demonstrated by Mrs Street, a former Miss Florida, on a television news bulletin filmed in a Maxwell Buick showroom, before being used to great effect when the Golden Sahara II starred in the Hollywood classic Cinderfella alongside Jerry Lewis. Released in 1960, the same year in which the Golden Sahara II won ‘Best in Show’ at the National Championship Custom Car Show, the film comedy is an adaptation of the Cinderella story but with most of the characters changed in gender from female to male. When the clock strikes midnight at the ball, Cinderfella has to quickly leave before the spell is broken. As he runs down a long flight of stairs to make his escape, only one car seems fairytale-like enough to step in as his ride – the Golden Sahara II. 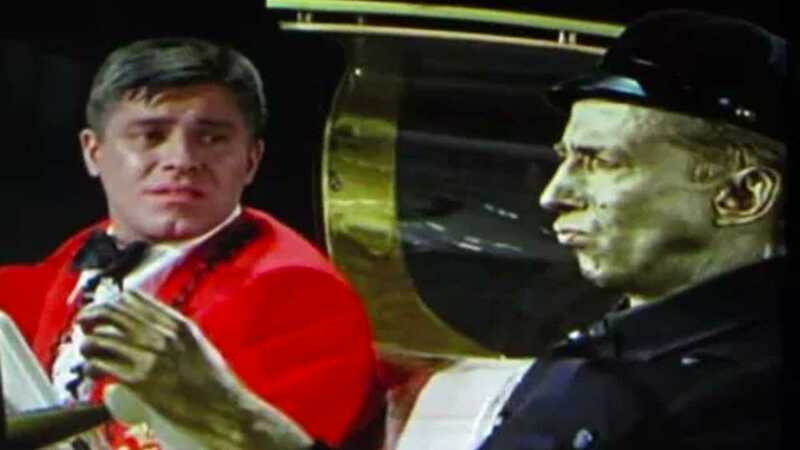 Cinderfella’s waiting chauffeur, aptly wearing gold face paint to match the car, is rumored to be owner Jim Street himself. Much like Cinderella, the Golden Sahara proudly wore its very own ‘Golden Glass slippers’. These were, in fact, the result of a 1950s trend for lit-up tires. Developed by Goodyear and made from a see-through synthetic rubber known as Neothane, the tires were translucent and could be internally illuminated. They were said to improve night visibility and safety, in the movie they just looked oh-so-cool. Further complimenting the lit-effect from the Neothane tires were crystal hubcaps that had turn signals built into the rim, which would blink on and off and thus serve as indicators. The Golden Sahara II had previously demonstrated advanced tires for the Seiberling Tire Company, as part of the ‘Sealed Air – The Tire of Tomorrow Here Today’ campaign in 1956. This had helped to recoup some of the costs from the upgrades that had catapulted the car into the true heights of stardom. One highlight of the campaign was a photoshoot at a day’s racing on Daytona Beach. Appropriate given the car’s name, the Golden Sahara II had finally graced some sand with her presence and on the legendary site of many a Land Speed Record while at it. However, soon after the peak on the silver screen, the Golden Sahara disappeared completely from sight. Entirely pulled from the car show-circuit, totally absent within media, never spotted again on the road. Like a pool of water that looks like it lies ahead in the real Sahara, this ultra famous custom car completely vanished, just like a mirage. Various rumours on the whereabouts of America’s automotive darling circled but they always came to nothing. A car that had been known all across the US lingered on in the memory of those who’d lived through 1950s America, most likely assumed to be yet another flash in the pan. A fitting, if inaccurate comparison, of a car that possessed so much gold-plated ornamental work to highlight its graceful features. What the exact reason was for the disappearance of the Golden Sahara II is unclear, but it’s believed that life on the road took a heavy toll on the car and that Street had decided to quit while he was ahead, hiding the Golden Sahara before it started to look worse for wear. Parking it up in his Ohio garage, the Golden Sahara II took a long-term vacation from public view. Some people said they saw glimpses of Jim Street and the Golden Sahara II on the road during the 1980s but this is hearsay. Those who knew Street better tell of how the white paint had faded to a golden brown and of Street’s intentions to either restore or redevelop the Golden Sahara further, but that thing called life and Jim’s work at Radar Security had a tendency to get in the way. The rest of the world was kept at bay for decades, until following the sad passing of Jim Street, the Golden Sahara II appeared in the listings of Mecum’s May 2018 Indianapolis auction. The Golden Sahara looked somewhat different - the paint almost unrecognisable thanks to its paint fade, parcel tape covering up minor scrapes and the iconic tyres disintegrating as soon as the car was moved – but the same iconic shape and cues of custom car genius remained. At auction, the Golden Sahara was purchased for $385,000 by Larry Klairmont and delivered to Chicago-based Speakeasy Customs and Classics for a painstaking restoration. 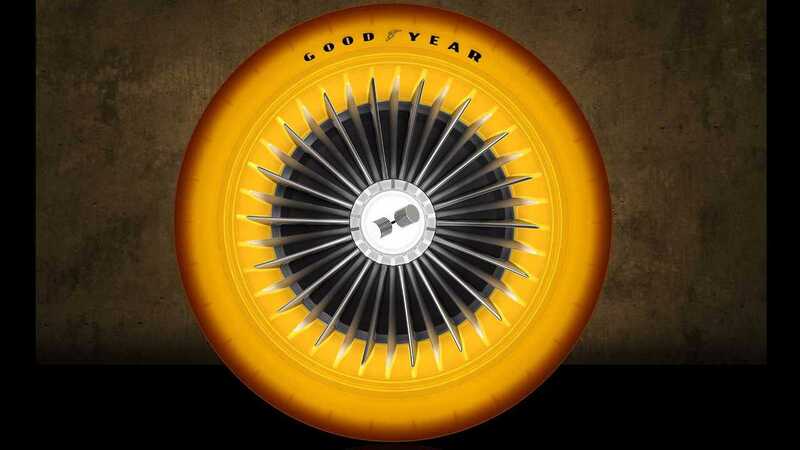 Goodyear, hearing of the Golden Sahara’s emergence, contributed by recreating a set of urethane tires that come equipped with LED lights as a homage to their 1950s Neothane tires. And then, like the unexpected sound of a car travelling along a deserted highway, the Golden Sahara suddenly re-emerged into the spotlight at this year’s Geneva Motor Show, to the astonishment of classic car journalists and petrolheads alike the world over.